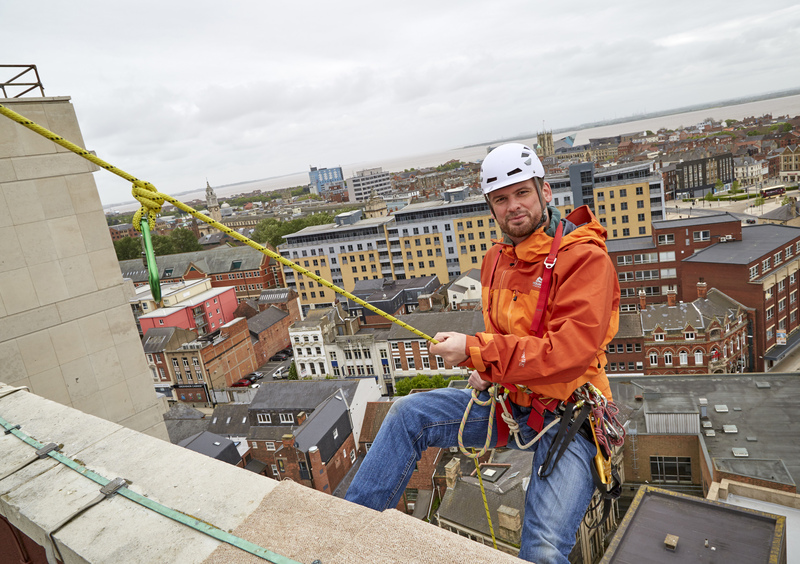 K2, the £6m multi-functional living and workspace complex in Hull city centre, has teamed up with an outdoor activity provider to offer abseiling from its rooftop – making it the first of its kind in Hull and the East Riding. The urban abseiling events, which will be organised by York-based firm Lost Earth Adventures, will run every Saturday and Sunday morning from June 23rd. Group private bookings will also be available. The collaboration with Lost Earth Adventures follows the success of the charity abseil held at K2 in March by scaffolding company Bambu, which raised money for PAUL For Brain Recovery. “The charity event we were involved with in March was a great success and prompted the team at K2 to offer abseiling on a permanent basis. There are a number of outdoor activities available in Hull and the East Riding, but this will be the first in an urban environment. We have organised abseils down cathedrals, viaducts and towers, but this will be our first fixed, regular installation. Prices for a session start at £25. To book an abseil, visit https://www.lostearthadventures.co.uk/dates-uk-adventures-activity-days-out/ and select ‘Eastern Yorkshire Dales’.